We’ll travel great distances for the perfect meal. Or a well-crafted cocktail. We’ll fight our way through intense traffic, traversing great distances, getting lost en route, all the while knowing that at the end of the road, our journey will be rewarded. Case in point: in the blazing sun, after five hours driving through seemingly endless fields of wheat, corn, apples and vineyards, we arrived at our destination: Waitsburg. 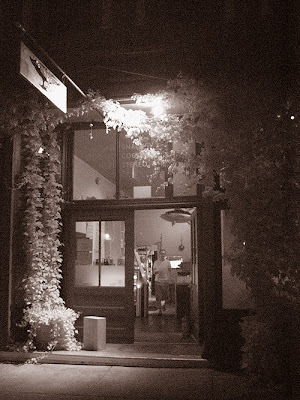 Without strong recommendations from friends in Seattle, Waitsburg, a forgettable vision at first glance, is easily passed over. 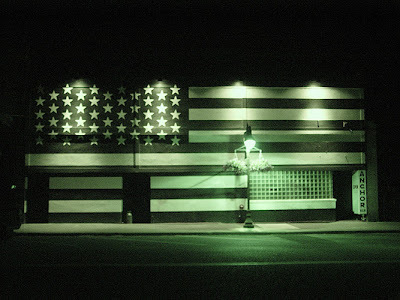 Without a place to stay, we headed to the hardware store, where the owner dialed a number and told us to ask for Leroy. Leroy was booked up but suggested we talk to Imbert who luckily was across the street. Imbert walked us over to his guest house, The Seven Porches, where we had to share the bathroom with Jim, a 70-year old man who was walking around the world. Things were getting more interesting by the second. While we could have returned to the hardware store to enjoy birthday cake and ice tea – one of the locals had turned 90 – we washed up in anticipation of our ultimate destination. 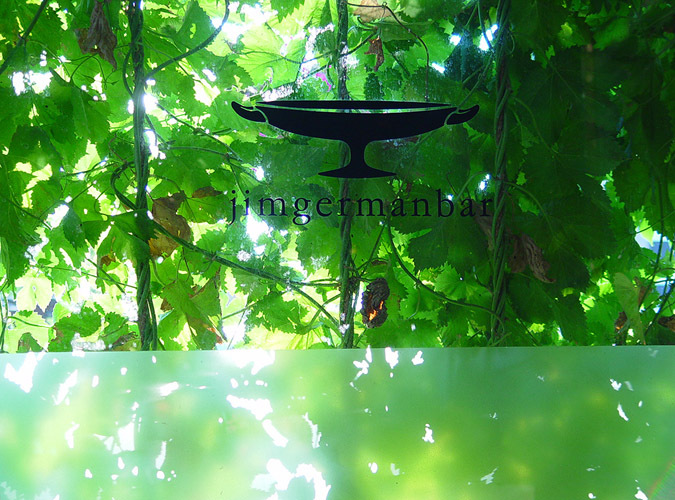 jimgermanbar is a most astonishing place and provided us with one of the most memorable culinary experiences of this year. 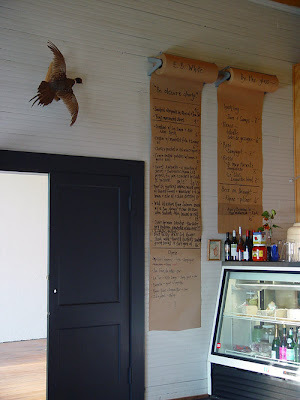 I instantly loved the minimalist decor, a bit of taxidermy here and there accenting white washed walls, and the daily menu written on butcher paper. It was an oasis of calm after our long journey. 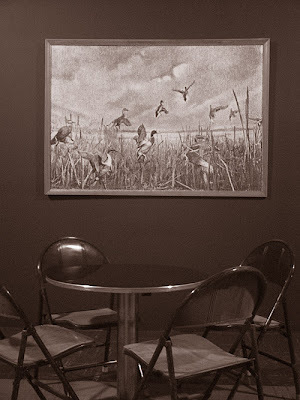 Run by Jim German and his wife Claire Johnston who both moved from Seattle in search of more affordable real estate, a space to create art and to provide sustenance, they stumbled upon Waitsburg and two side-by-side properties for sale on the town’s main street. The view below is from the adjoining space for private functions, where Claire makes a mean paella. The late summer light added a magical touch. But let’s get started with some of our just rewards. Jim German, a contemporary of the famed bartender Murray Stenson (in fact, German was the one who hired Stenson at his first post at Seattle’s Il Bistro back in the day), of course mans the bar, and the front of house, along with an exceptional waiter, and draws a solid fanbase by evidence of the reserved signs for bar seating (next time!). We began the evening with The Rooster, a concoction of Beefeater gin, campari and lemon, finished with champagne. Absolutely delightful. Next came German’s elegant take on a French 75, and equally exciting mix of Gin with pomegranate, sparkling, and garnished with a lemon verbena leaf, maraschino and crushed pink peppercorns. The Terroirist, was a rye negroni, an earthy rejoinder of 1800 rye, cynar and chinotto, the Italian bittersweet soft drink. The menu changes with the seasons and is very Spanish influenced. Claire heads up the kitchen, alone, with nothing but a single induction burner and small convection oven. Her food is nothing short of miraculous. Robust and simple flavours, perfectly prepared, using fresh ingredients, and made to order in her tiny kitchen. She refers to her menu as Etruscan snacks, a cheeky way of replacing the much used and abused word tapas. Potatoes came roasted with cumin and served with a lemon-garlic aioli. Then chorizo poached in red wine and spices. 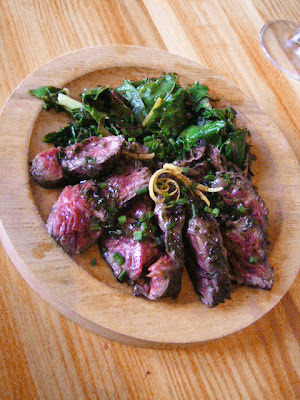 Then a plate of crostini with Monteillet feta drizzled with a perfect amount of lovage oil and chopped chives. 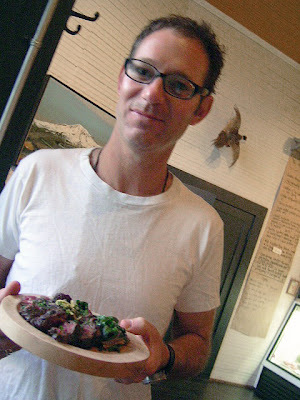 The mix master himself, Jim German, delivered us a plate of lightly grilled Blue Valley grass-fed hangar steak with fresh garden chard and tarragon oil. Frequently during the evening, hammering could be heard in the kitchen, it announced that yet another order of Claire’s schnitzel was being prepared. Blue Valley pork tenderloin was pounded to order, breaded and pan fried and served with a salsa verde, a chunky, bright piquante and herbaceous accompaniment that perked up the schnitzel. Heaven. Claire allowed me to take her photo in her kitchen, but only posed from the side in front of her photo and postcard collection. As the day turned to night, we were treated to a selection of grappas and eau de vies from the Jim German collection. Out into the night and back to our guest house, we knew that more adventures were in order in this, not a one horse town, but a one camel town (it’s brought out during festivals). This included taking a look inside the Anchor Bar, owned by the wine producer, Charles Smith, and that German designed and decorated. 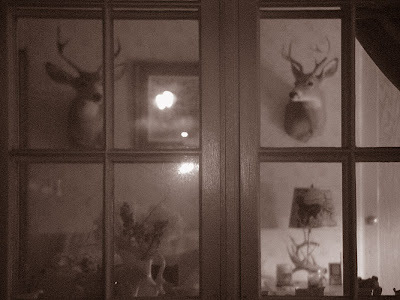 A view from the sidewalk into a Waitsburg resident’s livingroom. 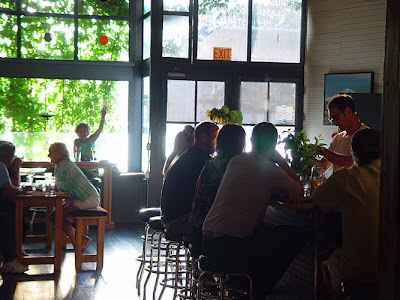 Staying at the Seven Porches, we were issued a $5.00 breakfast voucher to use at Imbert’s (another Seattle refugee) other business, Coffei, the town’s coffee shop next door to Imbert’s third business the Times, Waitsburg’s newspaper. While we waited for the Anchor to open, we came upon another eccentric passing through town. 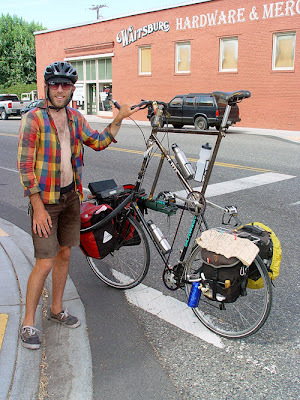 Cycling through town on his double frame bike, his cardboard sign read, Philly or Bust. 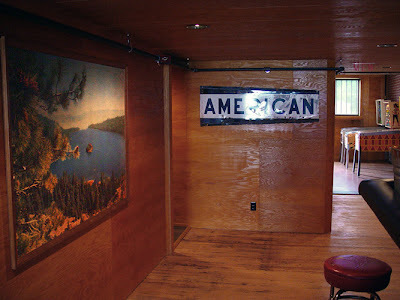 The Anchor interior where you can enjoy, pinball, beer, sloppy joes and on Tuesdays, tamales. The bar, once a notorious “buckets and blood” hangout, is roadhouse meets cabin-in-the-woods feel, with lots of space for their future plans that include a restaurant. 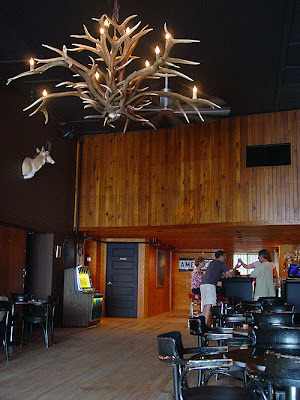 A deluxe antler chandelier, vintage pinball machines, taxidermy and other bits of wildlife highlight the wood interior. Before we headed off to Walla Walla, the hardware store owner offered us his store up for sale, Imbert said goodbye at the coffee shop, we met the resident Victorian period costume maker who upon asking how she was, answered, “crazy”, and the collectibles store owner, who also ran the gym. All in all , a wonderfully kooky and colourful collection of people that makes Waitsburg a must stop before heading to or from the wineries of Walla Walla. 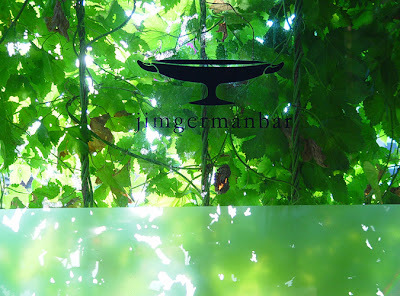 For the perfect cocktail, the perfect meal at jimgermanbar, or just maybe it’s the place you want to call home. The hardware store is still for sale.